the same rules still apply! the original file is bigger in size! - 15+ accessories, blushes, etc. ✔ use for personal art, gifts/trades, requests, etc. trace/copy/steal the base, or claim it as your own. 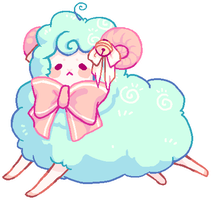 this was the base for the sheeps i made last time! i had this sitting in my files for a year and half now, so it is about time to release it. 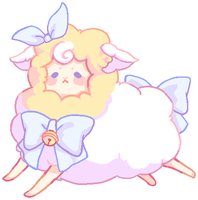 me and my friends had such fun making our personas into sheeps with this. w-why it was no longer for sale? <Small><blockquote>oh, its because i ended up using it to make stickers and such, and figured that i might as well as not sell it as a base anymore especially when it barely sold anyway. lol it's okay if i'm using it rn? well, have you personally (and directly) bought this base? it's me actually with another account named YunYeurei , and i was help to run this account as well..
well, if you already bought the base then yes it is fine to keep using it. i did mention it already in the descriptions though. so you can use it regardless of what account you are in the future. HI! Kokotea! I Just Want To Ask, Your Skills Are Amazing, How May Price Is This For Adoptables? Okay, I'm Really Bad At English. How much would it cost if you sold? are you sure you want the png one? The eyes of the "fancy" one are hilarious.